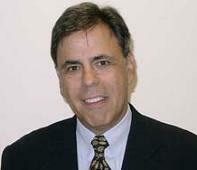 PF: Larry – you’ve been a lead search consultant in the sourcing industry for many years. In terms of roles and openings both buyers and service providers are looking for, what’s changed today? buyers and providers have scaled back many of the large hiring initiatives we have seen in the past and the process has become more selective and significantly longer. There is some common ground between both the buyers and providers, both sides are seeking individuals who can add value to the organization. On the operations/shared services/delivery the companies are seeking individuals who can improve processes, profitability and end user satisfaction. The sales disciplines are more focused on track record of success, industry focus and abilities to open doors in new accounts and new avenues. The need the abilities to connect the dots between technologies, customer needs and markets in new ways. LJ: Mostly, I am still recruiting for what I've always looked for: extremely smart and talented people who love to work hard, who are passionate about what they do and achieve success. PF: Who’s hiring at the moment – where are the openings? LJ: The market at this point is mixed; there are still strategic hiring initiatives taking place on the buyer and provider sides of the marketplace. These are on both the sales and delivery sides. LJ: An example of this was just today, I spoke with a senior executive at Accenture this morning and in our discussion he indicated he is constantly looking to improve the caliber of his team. He looks for people with the abilities to react to market shifts, be able to bundle large complex deals into successful sales. PF: Are you seeing a pick-up in job vacancies for sourcing consultants from the boutiques or the management consultants? LJ: Most if not all of the sourcing firms and management consulting have been hit by the economic down turn. The advisory firms like EquaTerra, TPI and Deloitte have all mad some forms of adjustments. Several of the players have changed out the underperformers. There has been hiring across the board, but very slowly and only in anticipation of concrete demand. By sector ITO is stronger than anything else but very respectable in F&A, HRO, and procurement. PF: What sort of roles are in decline? LJ: I believe there is less hiring being done today than a year ago. I am not sure I can make a statement to define specific roles that have been affected. There is one industry sector that has been hit harder than others it would be HRO. This part of the market seems to be very quiet, this would include the larger offerings like those at Hewitt and Accenture. RPO has also had its set backs. PF: What advice do you have for sourcing professionals today looking for a new job, or new challenge? How should they go about finding new vacancies? LJ: Being your own best selling tool, you must emphasize what's important about you, as an individual, and how your own talents, skills and capabilities can deliver short- and long-term value to an organization. LJ: Start by being aware of internal job postings; while doing this insure your boss and you are communicating effectively and that his or her direction is important to you. While doing all of the above, insure your personal network is up to date! Participate in some of the social networking tools such as LinkedIn, Plaxo, etc. Write an article, participate in blogs like Phil’s and oh yeah….UPDATE your resume, look at opportunities that present themselves they could be viable. Talk to headhunters. Especially if you get a call from me. PF: How effective are social networking tools, such as twitter and LinkedIn for sourcing jobs? Update Your Profile- A complete, updated profile helps recruiters find you with opportunities. Get Recommendations- Your profile represents you so make sure you put your best foot forward. Add Connections- Your chances of getting any job or obtaining information on an opportunity you are exploring are both enhanced when you know someone at the company Some companies and job boards post job openings on Twitter, and job seekers regularly network through Twitter to help facilitate their job search. Users can search the whole Twitter universe by topics and keywords to find relevant posts and authors..
PF: And finally, how can Horses readers get in touch with you about opportunities? PF: Thanks Larry - am sure many of use here appreciate your time today. Great post, many organizations are looking for niche talent in the sourcing arena. In this challenging economy you must show value. You must know your viewing audience when submitting your resume. Now I know why I’m connected to Larry on Plaxo, without having met him, what a networker! I’ve recently been thinking and writing about the opportunity that the current recession provides for sourcing professionals. I began my outsourcing career in the recession at the start of the 90s, and I guess I got lucky – a growing outsourcing business is an amazing place to start your career and learn your trade. In amongst all the doom and gloom of the recession, there are real opportunities for sourcing professionals to shine. Many people will define their careers helping their organisations respond innovatively to sourcing issues over the coming months. And the stars will be at all levels – not just the leaders that make it into Larry’s black book. One of the key aspects of a career in sourcing is that it is necessarily marked by surprises and dislocations. No person is wholly in charge of their destiny in this industry. This can lead to some uncomfortable times, as I know some readers of this column are facing. But despite the cost pressures, organisations need our skills and experience now. They may not want to spend top-dollar on consultants, but they need structure and rigour in the way that they approach their sourcing decisions, otherwise they will waste much more than they save. This is where the opportunity lies for all of us. A brilliant post! I was working on contract with a consultancy for a while - but then things started slowing down. So, I took a completely different approach - I started a job board for procurement professionals. Now I'm hoping to help others out of "the fix" I found myself in. What a great idea -- Larry interviews Phil, now Phil interviews Larry! Both have a lot of great insight and advice to offer to the sourcing community. Thanks guys! Hi Phil, great blog - I read it regularly even if this is the first time I post a reply. On the topic of talent management in sourcing, I have the feeling that companies have underinvested in the area of training for the soft skills required to manage sourcing relationships - namely communications, cross-cultural psychology and foreign languages. If you want to succeed in being a strong sourcing manager, you will need these soft skills more and more - but very often sourcing management gets handed over to project managers with quantitative skills who lack communication skills. We should encourage end users and providers alike to set up more of these soft skills training. As you know in the world of offshore sourcing projects often fail because of ineffective communications. Great interview, gentlemen! I've also recruited BPO, procurement and SCM roles for about 13 years and strongly agree with most of Larry's observations with perhaps one exception. I have personally seen cuts at Big 5 firms that have run much deeper than merely "changing out the underperformers", but that have also affected the performers as well. While I don't have enough data from across all sectors to make more than just an anecdotal observation, I've definitely seen high quality mid-senior level sourcing execs displaced and their duties distributed to less experienced staff. In some cases, companies have clearly taken advantage of the Recession in order to affect strategic change in their sourcing departments leaving key positions unfilled for extended periods of time (and not just to lower their cost), while others have indeed needed to reduce headcount to meet c-suite mandates on departmental cost reduction. I do expect organizations will be seeking high-quality/highly-experienced sourcing talent again as the rebound continues - although departments may remain leaner for quite some time (all the more reason for them to make hiring for quality their top criteria). Footnote - a couple bright spots where companies have continued to actively recruit have been in Federal Government BPO and Defense contracting, and in raw materials commodity management (energy, food, chemicals...). Rebecca makes a very good point about ineffective communication. Pick up a rock and you'll find an executive recruiter . There are many very good recruiters in the business. Nevertheless, what is unique about Larry Jannis is his 100% focus on the outsourcing market and the long time relationships he has built with all the players in the business. But what I admire most about Larry is his marketing and branding skills which are world class for any industry . Larry has built a personal brand that no other recruiter has been able to match. The article is a great read! Thanks very much for the insights on the recent trends in career opportunities and hiring initiatives in the sourcing industry.